We attended a memorial service in Hot Springs, AR on Memorial Day. It was quite moving & I’ll share more with you soon. In the meantime here is the first photo I took of the day that really spoke to me: a man praying solemnly at the wall in front of a section of names. 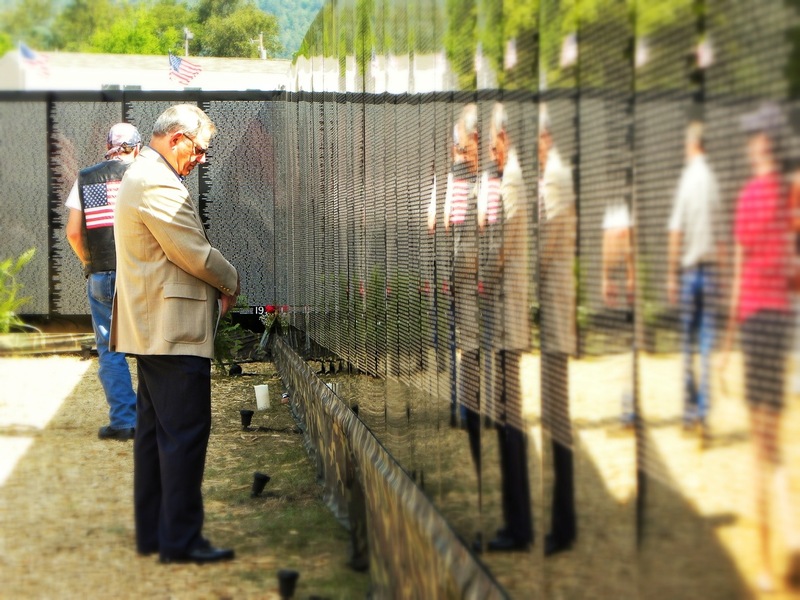 This entry was posted in Photo, Picture from yesterday and tagged man, Memorial day, moving wall for Vietnam, prayer, reflection. Bookmark the permalink.